for the New Puppy Mama! Home » Stories » for the New Puppy Mama! 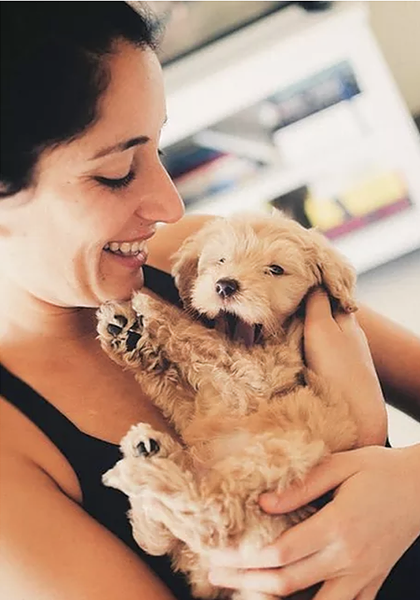 Bringing a new puppy into your home is a very special experience. But, for this moment to go as smoothly as pawssible, preparation is key. That is why we designed the "New Puppy Mama Collection" with the help of our amazing pawtners; we wanted to help new dog parents prepare for this special day - making it easier to check off items off of the to-do-list quickly, while maintaining top quality and functionality. well-made puppy collars, leashes and harnesses, and puppy carriers for your growing pup. 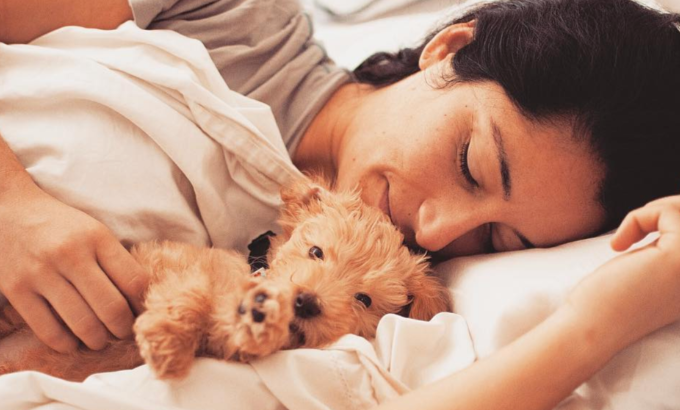 And, tag us on Instagram @puppy.mama with any of your adorable puppy photos so that we can repost! My boyfriend and I knew we wanted a mini goldendoodle. We picked Moose out when we was only 5 weeks old. All of the pups were beyond adorable, but something about Moose just drew us to him. The feeling of happiness and companionship that Moose gives to me is one that I haven't experienced before - since I have never had a dog; it's a really special experience to have with another living creature, one that depends and relies on me. Moose snuggles with me on the couch for a 'Real Housewives' marathon, which is usually what makes me feel better after a long day. I love starting and ending my day with Moose kisses and he forces me to get outside more often! ​To Moose, my boyfriend and I are his world. He gets so excited about the simplest things in life."